In August 2018, a close friend recommended the book “The Life-Changing Magic of Tidying Up: The Japanese Art of Decluttering and Organizing” by Marie Kondo. At the time, we had never heard of this book, the author or her KonMari Method. This was well before her new Netflix series in 2019 led to her seemingly overnight rise in popular culture. You could say she’s the new Joanna Gaines with her meteoric rise. She refers to this as the KonMari method of organizing. It’s no surprise that keeping your living space tidy is easier done after discarding or donating 25-75% of your possessions. How Do You Know If Something ‘Spark Joy’ When Using the KonMari Method? 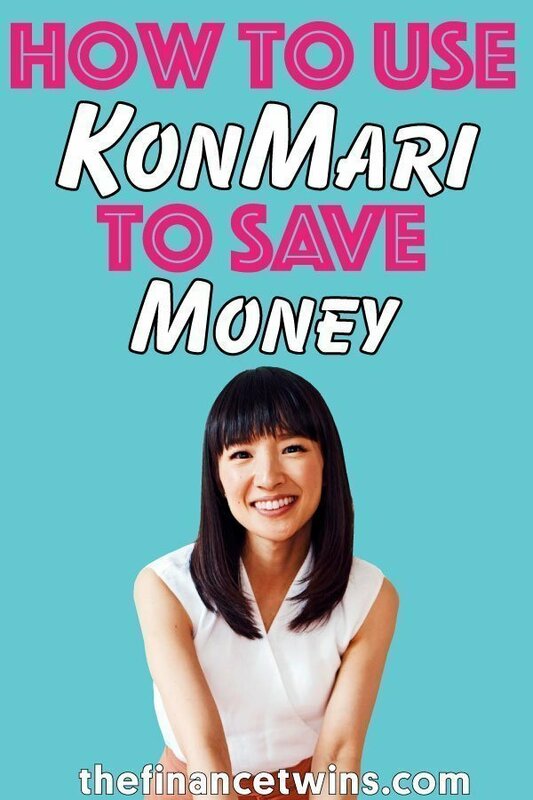 Can You KonMari To Save On Medical Bills? To know if something “sparks joy,” pick up an item that you definitely love. This could be your favorite book or that jacket that always makes you feel like a million bucks. Hold it in your hands and try to get a sense of how it made you feel. Do that with everything you own and if it doesn’t inspire that same sense of happiness, it is time to part ways with it. Remember, if you aren’t sure if it sparks joy or not, then the answer is NO. But this post isn’t about reviewing the book or how we applied her techniques to our lives. 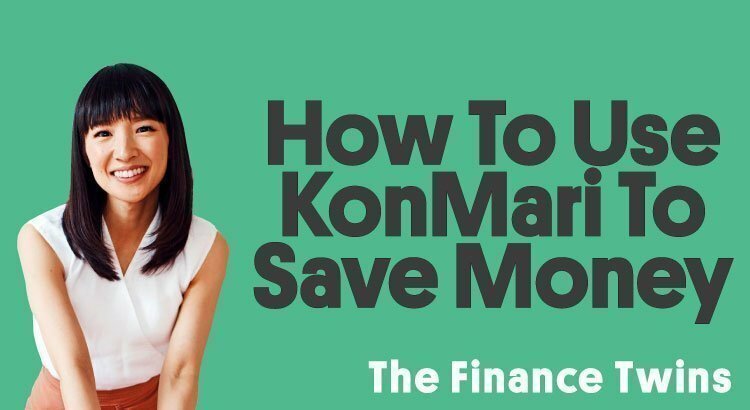 This is about walking you through how to use the KonMari method to save money and reach your financial goals! In the KonMari method, you are supposed to discard (or donate) everything that doesn’t spark joy. It doesn’t matter how useful the item may or may not be. While this is an idealistic idea, it doesn’t make sense for everyone. If you find yourself sorting through all of your clothes and realize that nothing you own brings you happiness, don’t get rid of everything in one shot, unless you plan on walking around naked. Growing up in poverty, we didn’t always love the clothes or shoes we wore, but we had to wear what we could afford. We didn’t have a choice, and that’s okay. There is a fine balance between loving absolutely everything and going broke to get things you love. For example, maybe you’re choosing between a new pair of shoes you really love that cost $120 and last year’s model that is on sale for $40 and you still like them a lot. It makes more sense to save $80 and get the shoes you really like over the ones you really love. While that example uses shoes, the same applies for big ticket items like houses/apartments, furniture, cars, etc. Don’t let your blind pursuit of things you love prevent you from attaining your financial goals. In an ideal world, everyone closets would already be filled with some items we love, but that may not be the case, and that’s okay! The next paragraph will help you make a plan to get there. If you don’t love any of your winter jackets, maybe keep the one you like the most and donate the rest. Staying warm in a jacket you’re okay with is a lot better than freezing outside wearing only a sweater or sweatshirt that sparks true joy. The good news is that you don’t need to keep that same jacket forever. If there’s another jacket you really love, add it to your budget. You can set aside some money each month specifically to buy that jacket. If you don’t have a budget, use our guide to learn how to make a budget. After some months of saving up you will have enough money to buy that jacket without having to go into credit card debt. If you budget spending money each month, you can also save that money over a few months until you have enough to purchase your jacket. The key is to not go into debt to obtain the things you truly want. Another benefit of saving the money over a few months is that occasionally you will find that your tastes may change or you may find another jacket you like even more! You will also appreciate your new jacket way more by waiting more time to get it. Research has specifically proven that you’ll enjoy things more if you wait to purchase them. A common misconception is that KonMari method encourages even more consumption. Kondo argues in her book that after downsizing, you will realize that you don’t need to buy more things because you will not miss the items you no longer have. But, if you only have one pair of snow boots and you live up north where a pair is essential, don’t rush to get rid of them. They may not spark joy, but they definitely serve a purpose in the harsh winters. Your feet will thank you. Also, don’t purge everything in your closet to have an excuse to go on a shopping spree. The true purpose of the KonMari method is to be happy with the things you already have. If you will struggle with online shopping, give yourself a 6-month period of time to settle into your downsized closet. After 6 months you’ll have an idea of what things you truly love and those that you probably don’t. You will also know what things may be missing. Minimalism is definitely picking up steam. From tiny houses to the KonMari method, downsizing is definitely on the rise. However, it is important to note that there are no limits on what you can keep. If you have a large library with hundreds of books and they all spark joy, then keep all of them! Do all 10 pairs of running shoes bring you joy? Perfect, keep all of them. Just remember that by focusing on the things you really enjoy, you’ll be more satisfied and happy. After all, you’re better off being wealthy than rich. Having the life that Kondo wants you to have will take time. You will not magically get rid of a ton of things and then only be surrounded with things you absolutely love. Be patient. We live in a society where everyone wants everything yesterday (and with free shipping). Give yourself an opportunity to be reflect on where you are in life now and where you want to be in the future. If you are currently struggling with paying all of your bills, but envision your future self retiring on the beach drinking out of a coconut, you are not alone. The difference between attaining that goal or having to work until you are 70 years old is simply hard work, dedication, and a rock-solid budget. If you’re married/partnered, it also requires a spouse/partner that is 100% on the same page as you regarding your financial goals. A partner with a loose budget is like trying to swim with an anchor attached to your ankle. Doesn’t work very well. Remember, Rome wasn’t built overnight, and neither will your retirement. KonMari may be a piece in the jigsaw puzzle that will help you achieve your dreams. If KonMari can help you be happy with the things you already own then maybe that will your ticket to not racking up credit card debt. Anything that can help you save thousands of bucks over a lifetime is worth looking into. The KonMari method is no different. As a physician, Francisco is always up for sharing information to help others live a healthy life. Kondo states in her book that some clients have reported weight loss. I suspect that the weight loss is most likely from all of the effort required to truly do a complete and thorough re-organization using KonMari. Instead of sitting in from the the TV, you’ll be on your feet sorting items and carrying bags full of items to your car or the garage. Physical activity (especially when combined with a diet heavy in fruits and veggies) is an excellent way to improve your cardiovascular and overall health. During the active discarding phase of KonMari (before the actual organization) this could even count as your daily physical activity as recommended by the American Heart Association. Remember that being unhealthy is expensive, especially over the long-term.. If you live a sedentary lifestyle and spend a lot of time sitting down, maybe KonMari is the spark you need to get you moving. Maybe after you have shed a few pounds you will start to feel better and this will jumpstart a more active and healthy lifestyle. Could you eventually reverse chronic disease and save money on medical bills? Maybe! If you do, let us know in the comments! If you’re like most Americans you have a fridge (and freezer) just bursting full of things you probably will never eat. At the end of the month a significant portion will go into the trash. And you will head back to the grocery store and fill up your shopping cart with another couple hundred bucks of more stuff to fill up your fridge. When we have guests over, they are always surprised by how little food we keep on hand. The truth is, we save more money this way. We only buy ingredients for specific recipes that we are going to make or that we know we will for sure eat. This means going shopping more often than you’re used to. That’s really the only downside we have encountered, but it also means we always have a fresh stock of food! And since we are getting out of the house, it helps promote a more active lifestyle. To apply the KonMari method, arrange your fridge in a way that you can see everything inside of it when you open the door. This will only be possible after a thorough review of everything inside. Much like you did with your clothing, go through each item. Your fridge should be much more empty now. Each Sunday, we sit down with our spouses and plan the week. This includes the menu for the week. Make a list with all of the items you need. Do NOT go shopping without the list. Or on an empty stomach. Another added benefit is that since you will be going to just buy the items for that week, your shopping trip will take a much shorter amount of time. Your waistline will also thank you as you will also be less likely to make impulse buys. At the grocery store this usually means buying soda, chips, cakes, and other items not on your grocery list! Don’t forget to also add some healthy snacks. Frozen fruit (our favorite is mango) makes a delicious and heart healthy dessert and lasts for a long time in the freezer. If you are hungry and don’t have the energy to prepare a snack or meal, just open the freezer, throw the frozen fruits in a blender with some yogurt and you’ve got yourself a smoothie. Tweak this plan accordingly depending your work schedule, distance to a grocery store (if you live an hour away, then planning for a few weeks at a time makes more sense), and family size. The idea of downsizing can be applied to non physical things as well. For example, a lot of people carry a slew of different credit cards. But did you know that closing cards you don’t use may help improve your credit? Having fewer accounts and cards can also help you stay organized so that you don’t miss any payments. Student loans are another area where the KonMari Method can come in handy. Often times, student loans don’t come in a tidy package. Often, student loans come in the form of multiple loans for every semester. For that reason, it’s not unusual to graduate with a handful of different loans to have to manage. Refinancing your student loans and consolidating them into a single loan can have multiple benefits. It can both lower your interest rate and simplify your life. Not sure how to refinance or whether it makes sense? Read our comprehensive guide. Whether you are ready to buy the book and dive head first into organizing your life or are just happy with how things are in your life, I think we can all agree that we could all be a little more happy with the things we already have. For some, that requires getting rid of half of their possessions and realizing they don’t miss those things. For others, just some meditation and expressing gratitude for all of their blessings. A little mindful spending can go a long way. Here’s a great start if you are looking for other ways to save money! Regardless of where you find yourself on the KonMari train, remember that everyone’s journey is unique. Arigatou gozaimasu for reading! Thanks for all the insight. The Finance Twins is my weekly must-read! Keeps me inspired and focused on my goals.